Many people predicted that travel agents would go extinct with the rise of the Internet. Online booking engines allowed people cut out the “middle man” and secure their own flights and hotel rooms. Travel agents who simply made bookings without insider knowledge became an endangered species. But the Internet came with a dark side. Information overload, misleading photos, fabricated reviews, and shady businesses turned travelers back to the people who know the industry best: the Travel Advisor. As the travel agent faded out, a new generation of experts emerged from the rubble as the Travel Advisors people know and trust with their travels today. Though the industry has shifted, there are still preconceived notions about travel agents. 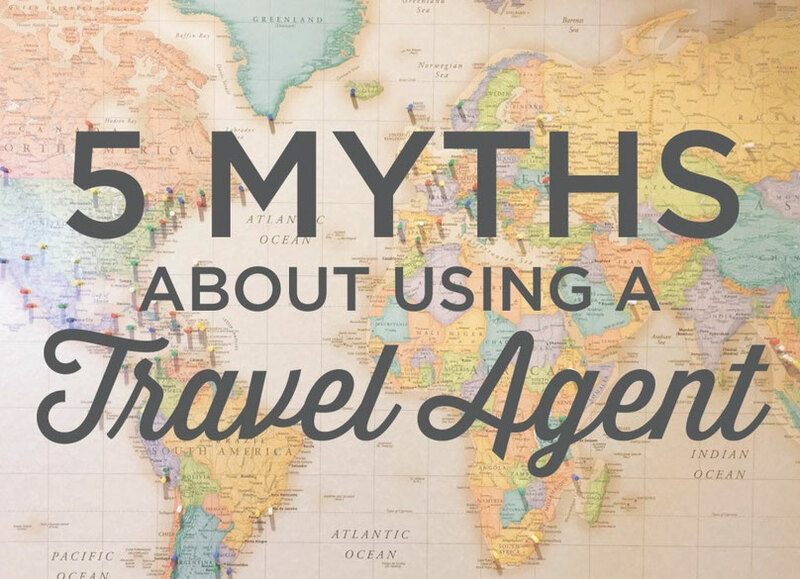 We debunk 5 myths about using a travel agent—ahem, Travel Advisor—below. 1. You can find it cheaper online. Even if the rate is cheaper up front, the end cost is less. A Travel Advisor can secure upgrades, complimentary breakfast, a spa or food & beverage credit, early check-in and late check-out free WiFi, and more — an added value that can be worth hundreds of dollars. And a Brownell Travel Advisor has access to preferred partner benefits (like Ritz-Carlton STARS, Four Seasons Preferred Partner, Mandarin Oriental Fan Club and more!) 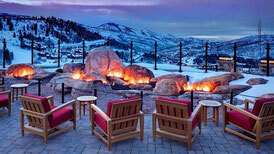 as well as Virtuoso amenities—something that makes even a weekend stay worth calling your Advisor! 2. The fees outweigh the benefits. 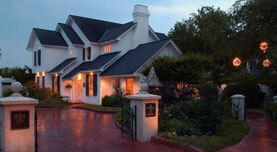 If you are using a true luxury Travel Advisor, the fee is nominal in the scheme of things. Your Advisor spends hours researching and finding the destination and property that fits your unique needs, and then uses their network and consortia affiliations to get you the best value and experience. In addition to the personalized service, you’ll also have your Advisor as an advocate throughout your trip. Flight cancelled? Your Advisor will re-book you before you could speak to an actual human on the phone. Luggage lost? You can enjoy your private tour while your Advisor tracks it down and has it delivered to your hotel. You’ll be able to enjoy your vacation to the fullest knowing your Advisor is only a phone call or email away (and you won’t end up like this traveler). 3. I can do the same thing on my own. Sure, you call a hotel or credit card call center on your own and book a room. Will you get the added benefits and amenities (see #1)? No. Will the general manager know you’re coming and make sure everything is in tip-top shape for you? No. And keep in mind, clients of Advisors in preferred partner programs are at the top of the list for upgrades and won’t face a walk situation if the hotel is overbooked. If you’re headed out of the country or planning a longer, more complicated trip and want to research it yourself, get ready for an onslaught of information. When you google “villa in Italy”, there are over 170 MILLION results—you’ll need to take a few days off simply to sift through the results! Your Travel Advisor can edit the world for you. You’ll get a narrowed down list of villas that have been vetted (because we all know a nice photo does not translate to reality) and have the amenities that match your needs. 4. The agent just wants to book me at the hotel or on the cruise with the highest commission. A true Travel Advisor with a passion for creating an exceptional travel experience is not focused on the commission but rather on the client. The relationship between the Advisor and the client is of utmost importance. If you call a hotel or cruise line, the person on the other end won’t tell you that another vendor is truly a better fit for you. And the person at an American Express call center won’t know that the property is undergoing a renovation, so your ocean front view will be blocked by a crane. Your Advisor will guide you through finding what is best for you, regardless of the commission. At Brownell, our Advisors go through a Discover More process with clients to understand their unique needs and wants, and then they create a personalized itinerary that includes hotels, tours, etc custom to the client. Some people still have the image of travel agents of the past in their mind—the ones who booked your flight and made a hotel reservation before the Internet made them irrelevant. Today, the travel agent has turned into the Travel Advisor: someone who can offer first-hand knowledge and unmatched expertise to create a custom trip for each client. Just like a doctor specializes in a certain field, Travel Advisors become experts in certain destinations, regions or types of travel. Some can plan an extensive journey through Africa with their eyes closed, others can get access to the very best vineyards closed to the public in France, and others know the resorts that are best for a multi-generational family trip to the Caribbean. The key is to find an Advisor that specializes in the type of trip you desire. Travel can be a truly life changing experience, and you don’t want to waste your discretionary spending and valuable time on a “deal”. Contact a Brownell Travel Advisor to start planning a bespoke, personalized travel experience. Still not sure? Check out these 50 reasons to use a Travel Advisor.